PIAB has appointed Per-Erik Lindquist to the position of CEO as the company continues its worldwide expansion and ongoing capture of new market segments. With more than two decades of experience at global companies in related industries, Mr. Lindquist will be a valuable asset as PIAB continues to assert its presence in an increasingly automated industrial world. 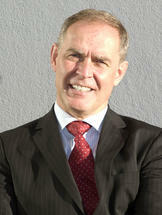 Mr. Lindquist acquired 20 years of experience at Scania, a truck manufacturer where he served as group vice president. Previously, he spent four years at Alfa-Laval, a manufacturer of cooling, heating and separation processing equipment, where he demonstrated leadership as an executive vice president. On October 1, Mr. Lindquist officially entered his position as CEO. At that time, former CEO Jacob Tell assumed the role of Deputy CEO to focus on managing PIAB’s continued growth through mergers and acquisitions and dynamic pursuit of new markets. 4Are Drones Coming to Life Science Labs?